Unfortunately (or fortunately, depending on your perspective), luxury brands tend to spruce up their vehicles by upping performance numbers. While this adds a bit of thrill to the driving experience, it plummets your car’s fuel economy ratings. Many SUVs considered in this study — including the top five models — came with Turbocharged or Supercharged engines. Engines spanned all the way from a petite 2.0-liter four-cylinder to the Bentley Bentayga’s 6.0-liter Twin-Turbo W12 engine. However, not all luxury brands follow suit. Brands like BMW and Buick found themselves in the “most efficient” category by opting for smaller turbocharged engines. 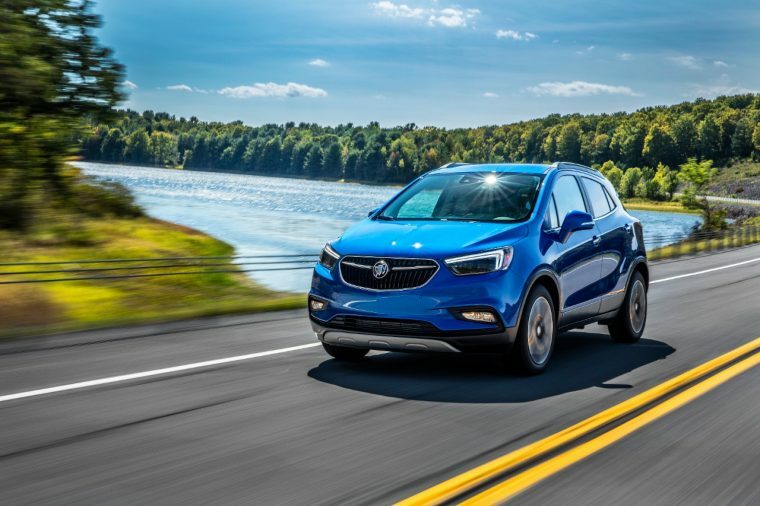 At the top of the ranking is the 2018 Buick Encore with its 1.4-liter Turbo four-cylinder engine equipped with Start/Stop technology. Start/Stop technology turns off the engine when the vehicle is stopped in an effort to preserve fuel. The engine turns back on when you remove your foot from the brake. The Buick Encore’s highway fuel economy ratings match the two runners-up — the INFINITI QX30 and the Mercedes-Benz GLA — at 33 mpg. However, the Encore comes out ahead in city fuel economy ratings with 27 mpg, compared to 24 mpg by the QX30. BMW took the fourth and fifth place slots with the X1 and X3. *This comparison does not include diesel, hybrid, plug-in hybrid, or electric models.